It happens to the best of us. When searching for the best stock market movies, you typically see a list of 5 to 10 movies everybody already knows about. Today, I am taking things one step further. I will show you the 44 most interesting finance movies, stock market movies, wall street movies and finance documentaries of all time. 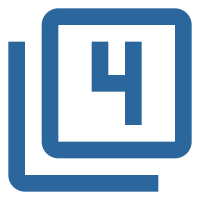 You had an exhausting day trading day? Then these films and documentaries are a welcome diversion. You’ll be sure to appreciate the list – it is categorized and rated, with a short plot description, nominations and the best quotes from the movie. On top of that, I am providing you sortable tables that allow you to sort all the movies and documentaries based on your own preferences (Top 10 included). 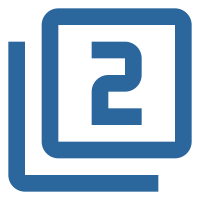 Now let’s go, choose one of the main categories to take a closer look and help me reach out to more people by sharing this article with your friends. ​Movies about Wall Street attract people from all over the world who are interested in the stock market and finance. That’s not surprising considering all the stories about people who have made enormous amounts of money on Wall Street. After all, it’s the number one hot spot to trade stocks in the United States. Here are the Top 6 Wall Street movies of all time. 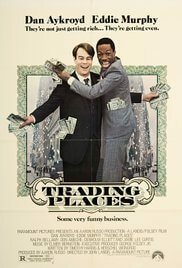 ​Eddie Murphy plays a homeless man named Billy Ray Valentine, who becomes a financial manager following a bet between two successful stockbrokers. His predecessor, Louis Winthorpe III (Dan Aykroyd) of Duke & Duke Commodities Brokers is the initial loser. ​Ultimately, the two team up and plot a payback against the stockbrokers, who earlier used them both as pawns in their bet. A very entertaining and funny comedy based on a short story by Mark Twain: "The Million Pound Bank Note". ​Billy Ray Valentine: "Hey, we’re losing all our damn money, and Christmas is around the corner, and I ain’t gonna have no money to buy my son the G.I. Joe with the kung-fu grip! And my wife ain’t gonna f… my wife ain’t gonna make love to me if I got no money!" It is the pre-eminent stock market movie that shows the glamorous, but also dirty side of trading with stocks. Michael Douglas plays financial shark, Gordon Gekko. He convinces the young stockbroker Bud Fox (Charlie Sheen) to get insider information about the company in which his father is employed. ​As befits a Hollywood blockbuster, the story picks up speed. Gordon Gekko and Bud Fox are superbly directed and the movie is undoubtedly worth watching more than once. Thanks to its cinematic perfection, the film inspired many young people to get involved in the stock market. However, critics berated director Oliver Stone for overplaying the game of stocks and focusing too much on the beautiful, glamorous side of the people involved. ​Gordon Gekko: "The point is, ladies and gentlemen, that greed, for lack of a better word, is good. Greed is right. Greed works. Greed clarifies, cuts through, and captures the essence of the evolutionary spirit." 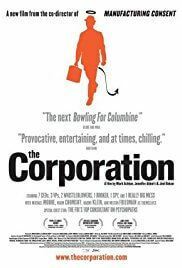 ​The film by Adam McKay describes in great detail the events that led to the Financial Crisis in 2007 and 2008 when about 8 million people lost their jobs and about 6 million lost their homes. ​In the U.S. real estate market a huge bubble burst with mortgage loans, which were awarded to virtually anyone. The film shows that it was even possible to borrow money in the name of one's own dog. Hedge Fund manager Michael Burry, played by Christian Bale, recognizes the situation and foresees the financial crisis coming. He uses his findings to his advantage and soon the entire house of cards collapses as predicted. The financial film is based on the book by Michael Lewis "The Big Short: Inside the Doomsday Machine". ​Ben Rickert: "If we're right, people lose homes. People lose jobs. People lose retirement savings, people lose pensions. You know what I hate about f***ing banking? It reduces people to numbers. Here's a number - every 1% unemployment goes up, 40,000 people die, did you know that?" 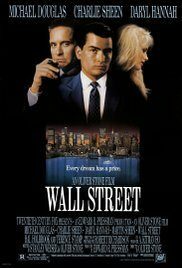 With an outstanding cast from the year 2000, the dark side of Wall Street and stock market trading are impressively directed in this film. 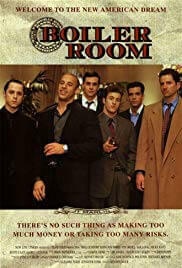 ​The 19-year-old college dropout, Seth Davis (Giovanni Ribisi) opens an illegal casino in his apartment. After one of his buddies tells him to contact J.T. Marlin brokerage, he senses big money and sees his dream of becoming a millionaire closer than ever. Barely settled in his job, he soon discovers that his employer is involved in illegal activities and the firm is an epicenter for unscrupulous greed and immeasurable profits. ​Jim Young: "They say money can't buy happiness? Look at the f***ing smile on my face. Ear to ear, baby." 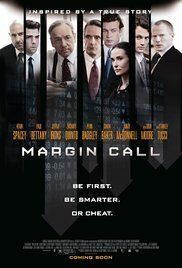 ​The high-finance thriller Margin Call entered movie theaters in 2011 and was nominated for an Academy Award for Best Original Screenplay. ​Peter Sullivan (Zachary Quinto) works as an analyst in risk management at a New York investment bank and receives a USB flash drive containing explosive material from Eric Dale (Stanley Tucci). 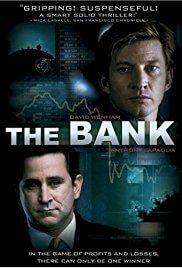 The mechanisms of the financial industry are revealed in an impressive way and the anticipatory moments make the stock trading movie worth watching until the end. Demi Moore, Kevin Spacey, Paul Bettany and Jeremy Irons were well-received by audiences everywhere for their outstanding performances. ​John Tuld: "There are three ways to make a living in this business: be first, be smarter, or cheat." Using ingenious selling methods, Jordan Belfort (Leonardo DiCaprio) made a $200 million fortune by persuading 1,500 investors to invest in worthless, cheap securities that he had previously bought. 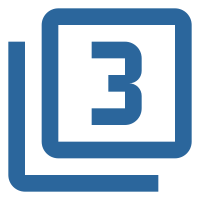 ​His clients' investments drove prices higher and higher, Belfort sold his holdings with high profits, and eventually the investors lost their money after the price collapsed. The true life of Jordan Belfort served as the basis for Martin Scorsese's most successful film to date and is definitely a "must-see" for any movie lover. Every viewer should consider the stock trading movie itself as a warning. I’m sure the private investors who were cheated out of their savings would have given a lot to have seen the film before they blindly invested out of greed and naively trusted in an unknown individual. ​Jordan Belfort: "Still, give them to me young, hungry, and stupid. And in no time, I will make them rich." On Wall Street things are not always as great as they seem to be nor as the best Wall Street movies try to make us believe. The opposite holds more truth and stock market documentaries are the best choice when you want to take a closer look behind the scenes. Most of the finance documentaries you find next are available for free on YouTube or accessible with your Netflix or Amazon Prime account. In this finance documentary, director Alex Gibney tells the story of ENRON. Enron, the U.S. energy company that had one of the biggest economic failures in the U.S. Founded in 1985, ENRON was a playground for the managers of the company who tried to enrich themselves, until bankruptcy in 2001. Ultimately, accounting fraud, money shifts and entrepreneurial adventures cost more than 20,000 people their jobs. In addition, the staff's pension fund of $2 billion was plundered. In the end, ENRON's debts amounted to about $30 billion. ​Jeffrey Skilling: "Oh I can't help myself. You know what the difference between the state of California and Titanic? And this is being webcast, and I know I'm going to regret this - at least when the Titanic went down, the lights were on." In 2008, the biggest speculative bubble of recent years burst. Within a very short time, gigantic monetary values disappeared as a result of the price decline on the stock exchanges. ​Millions of people lost their jobs, their savings, and their home ownership. 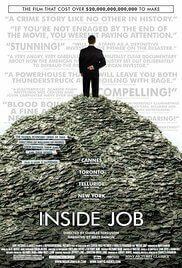 Inside Job, the documentary by Charles Ferguson does not reveal all the drawbacks that led to the crisis, but it does cover many interesting aspects that definitely make the film worth watching. ​Andrew Sheng: "Why should a financial engineer be paid four times to 100 times more than a real engineer? A real engineer build bridges. A financial engineer build dreams. And, you know, when those dreams turn out to be nightmares, other people pay for it." Based on the bestseller by Andrew Ross Sorkin's, "Too Big to Fail: The Inside Story of How Wall Street and Washington Fought to Save the Financial System - and Themselves." 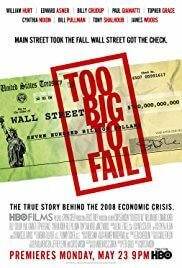 ​This documentary explores the 2007 financial crisis that eventually led to the bankruptcy of Lehman Brothers. Politics are, and remain, seemingly powerless against the innocence of the economy. The documentary tries to explain the mechanisms behind the crisis and help the viewer understand how it could get that far. The big question remains, what has been learned from it and how could the next crisis (if it comes) be averted? ​Michele Davis: "They almost bring down the US economy as we know but we can't put restrictions on how they spend the $125 billion we're giving them because... they might not take it!" The financial documentary by James Allen Smith vividly talks about the hustle and bustle on the futures exchange in Chicago. ​While there were 500 employees in the 1980s who accepted orders to buy and sell in PIT, today there are only a few because digitization and computerization are replacing the previous kings of trading more and more. ​In this financial drama, Allen Smith shines a light on the fate of some truly bizarre stockbrokers from the Chicago trading floor. ​This Canadian financial documentary examines the consequences of the economic trade of large companies. 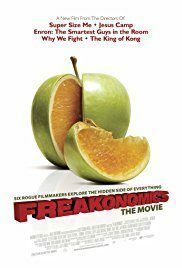 Here, Naomi Klein, Michael Moore and Noam Chomsky show and talk about a very complex and thoroughly critical picture of the modern economy. The film illuminates 8 different themes, which vary through a mix of TV footage, feature film clips and archive recordings. ​Richard Grossman: "We can change the government. That's the only way we're going to re-design, re-think, re-constitute what capital and property can do." With the stock market crash of 2008, sophisticated financial maneuvers did not come to an end. With the help of Chinese companies, bankers cheated a variety of investors with new strategies. The profit margins were huge, but they posed a huge threat to the stability of the global economy. 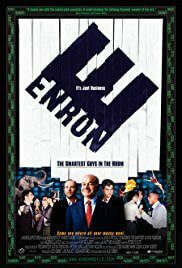 The producers of Enron: The Smartest Guys in the Room, reveal another stock market scandal and show, in a frightening way, how investors are getting their money despite extended regulations. ​Michael Moore describes, in his own style of humor, how the financial crisis came about and how the government ultimately saved those who caused the financial crisis. The criticism is clearly pointed at the unscrupulous behavior of globally active banks and companies that take risks in profit led motives, which the public must ultimately secure with their own money. Michael Moore points out who the profiteers are and what the potential connections between business practices and politics are. 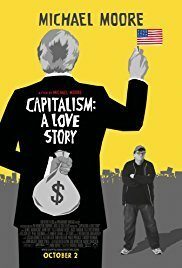 With an IMDB score of 7.4, Capitalism: A Love Story is one of the better-rated financial documentaries. ​Michael Moore: "This is capitalism. A system of taking and giving... mostly taking." In this documentary, Niall Ferguson travels around the world. ​He is examining the mechanisms of the financial industry from Wall Street, across South America, to Europe. With a rating of 8.0, the financial documentary released in 2008 has received very good ratings (570 votes). The documentary received an International Emmy Award in 2009 for Best Documentary. 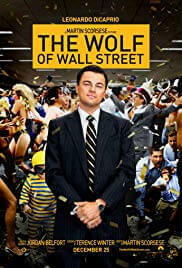 The lives of various Wall Street personalities are examined in more detail in this reality TV series. 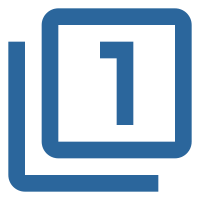 With a total of 3 seasons and 26 episodes overall, countless videos with varying levels of information content are available on the Wall Street Insider YouTube channel. In any case, good entertainment is guaranteed outside the framework of the Hollywood industry and exposes the financial life of traders, investors and corporations. 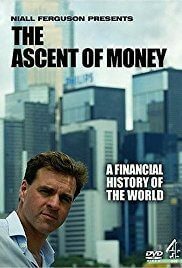 Hedge fund manager Lex van Dam's three-part British reality TV series was conducted under real conditions to teach a group of absolute novice traders how to successfully buy and sell assets in the financial markets. With a $1 million budget, the aspirants were able to trade actively over a period of six weeks. Much to everyone’s surprise, the group as a whole performed better than the pros. But within the test group, there were big differences. The 3 best participants included a student, a soldier and a mother of 2 children. All 3 parts can be viewed for free on YouTube. 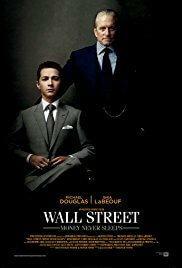 There are not only movies about Wall Street but also great finance and stock market movies with an impressive story and great actors guaranteeing great entertainment. Some are based on real stories, some are fiction, and some are just great action thrillers or even comedies. Here are the top 10 Finance and Stock Market movies worth watching. ​​In this stock market movie, the life and work of Thomas Alva Edison are biographically presented. 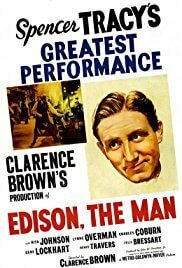 In the main role, Spencer Tracy plays businessman Thomas A. Edison. He causes a worldwide sensation with his developments and start-ups, especially in the electric supply sector. Incidentally, Edison had been involved as a shareholder in many companies, including General Electric. ​Thomas A. Edison: "Funny thing about mistakes- they don't have to be permanent. I had to find that out myself when I was a boy." Orson Welles shines in his unforgettable role as New York newspaper magnate, Charles Kane. ​The movie begins with the death of Kane in his castle Xanadu, where he mumbles his last word: "Rosebud". A reporter searches for meaning behind Kane's last enigmatic word by taking us through his past as he developed into a newspaper magnate, who manipulated people and stock prices with his printing works. 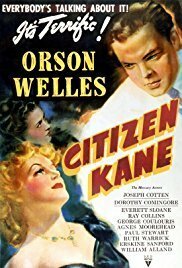 Despite Hearst’s attempts to ban the film from ever being seen, Citizen Kane continues to be celebrated for its artistic and technical innovations. ​Charles Foster Kane: "You're right, I did lose a million dollars last year. I expect to lose a million dollars this year. I expect to lose a million dollars next year. You know, Mr. Thatcher, at the rate of a million dollars a year, I'll have to close this place in... 60 years." 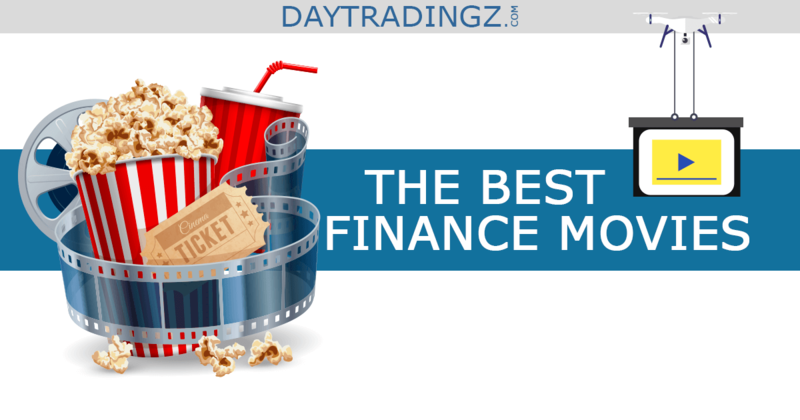 ​This 2001 movie is about a financial software that can predict stock market trends. A young mathematician, Jim Doyle is hired by a corrupt investment banker Simon O'Reilly. He wants to use the software to his own advantage and the plot takes its course. Produced in Australia and Italy, the film has mixed reviews, but won the 2001 Australian Film Institute Award for its script. ​Wayne Davis: "I guess if there's a problem, the bank will let us know..."
Based on a true story, this 2006 film starring Will Smith is loaded with emotions. 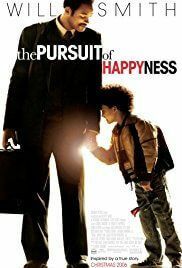 The single father, Chris Gardner (Will Smith) strives for happiness and freedom. ​After his wife, Linda separates from him, Chris must take care of his son Christopher alone. The film realistically shows how hard it is to gain a foothold in investment banking. Homeless and devoting time to an unpaid internship in an investment bank, Chris and Christopher have to fight for their bare survival. Will the strong willpower and hard work ultimately pay off? ​Christopher Gardner: "You got a dream... You gotta protect it. People can't do somethin' themselves, they wanna tell you you can't do it. If you want somethin', go get it. Period." 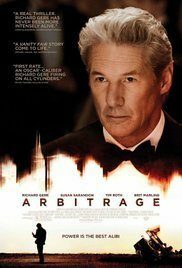 The movie Arbitrage, from 2012, is meant to be a criticism of the purely profit-oriented financial world. ​Robert Miller (Richard Gere) has everything one could want at first glance. Robert is a successful hedge fund manager, who is about to sell his investment company for a lot of money. But suddenly $400 million are missing after Robert has speculated on a copper mine. All attempted cover-ups do not help and problems in his private life start to arise. ​Robert Miller: "When I was a kid, my favorite teacher was Mr. James. Mr. James said world events all revolve around five things. M - O - N - E - Y." Barbarians at the Gate is about one of the biggest enemy corporate takeovers in US history. ​For $31 billion, KKR took over tobacco and food giant RJR Nabisco after a spectacular takeover bid. Based on the well-received, non-fiction book of the same name, the film was made by HBO in 1993. With 2 Golden Globes and an IMDB rating of 7.3, Barbarians at the Gate is one of the most popular films among viewers. ​F. Ross Johnson: "We're not talking just f*** you money. We're talking f*** everybodys money." Tess McGill (Melanie Griffith) is waiting for her big break in the business world. ​Working as a secretary, she gets her big chance when her boss Katherine Parker (Sigourney Weaver) breaks her leg on a ski vacation. With a big deal on the horizon, Tess teams up with investment banker Jack Trainer (Harrison Ford), but after her boss' return, things get more complicated. The film had big success with a large turnover. In addition, the film received many Academy Award nominations in 1989. ​Tess McGill: "I have a head for business and a body for sin. Is there anything wrong with that?" 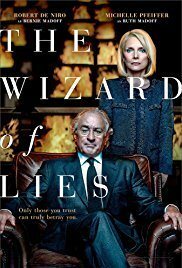 This film brings up, once again, the spectacular financial fraud of Bernie Madoff. ​Barry Levinson directs Oscar winner, Robert De Niro as the dazzling big swindler in the field. In 2018, the film was nominated for 2 Golden Globes. Other roles in this HBO film are played by Michelle Pfeiffer, as his wife Ruth and Nathan Darrow and Alessandro Nivola as his children. The film also shows how the family of Bernard L. Madoff falls apart amidst the scandal. ​Bernie Madoff: "I took money from some people, I gave it to others and I'll never... now there's nothing left. There's supposed to be 50 Billion, there's absolutely nothing, it's all gone." 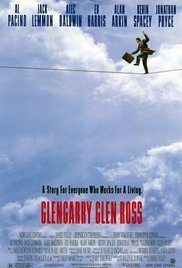 Glengarry Glen Ross is one of the top-rated financial films in our in-depth review. Starring Al Pacino as Ricky Roma, Jack Lemmon as Shelley Levine and Alec Baldwin as Blake, the characters are intensely charismatic and extremely well-acted. ​The struggle for power and influence between the staff of the real estate office is fanned after top manager, Blake calls a sales competition. The loser should be fired and the winner rewarded with a luxury car. Suddenly, all means are allowed and a merciless fight for the customers begins. Plots of land are sold at high pressure to customers and resorted to the fear of existence by methods that previously seemed unthinkable. ​Ricky Roma: "What you are hired for, is to help us... does that seem clear to you? To help us, not to... F*** us up... to help those who are going out there to try to earn a living... You fairy. You company man." 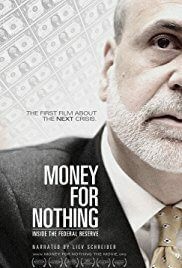 We have always wanted to take a look behind the facade of the U.S. Federal Reserve and finally the movie Money for Nothing: Inside the Federal Reserve gives us that insight. ​The film explains the structures and tries to promote investors’ confidence. 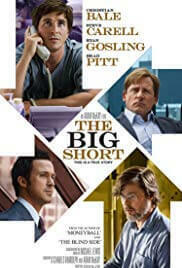 Ultimately, the film serves to show the viewer that the FED is helping to stabilize the American financial system. However, the interviews with Paul Volcker (Chairman of the FED from 1979 to 1987) and Janet Yellen (Chairman of the FED from 2014 to 2018) show a critical perspective of what happened in the context of the economic crisis in 2008 and following. Can you imagine that there is a finance movie without sound? Here come the top 5 most extraordinary finance movies and financial documentaries. Most of them are only barely related to finance but I do not want to hold them back. The very first motion picture, which even carries the topic of stock exchange in the title, came from Germany. It is more of a love story than one about big money but Director Edmund Edel, along with silent movie star Asta Nielsen, tells the story of a mine owner whose mining shares fall yet she still knows how to use the loss to gain an advantage. The 1946 film by Frank Capra tells the story of George Bailey (James Stewart). George faces a prison sentence for embezzlement due to the loss of $8,000 from the company treasury. ​He first thinks about putting an end to his life. But an angel named Clarence (Henry Travers) comes to earth at the right moment to show George what role he plays in his hometown. The film flopped when it came out, but is a true classic today. 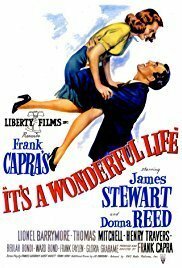 It's a Wonderful Life is a Christmas fairy tale that masterfully stages economic and family concerns. ​George Bailey: "I know what I'm gonna do tomorrow, and the next day, and the next year, and the year after that." On the 19th of October 1987, huge assets were lost during the "Black Monday" stock market crash. The Dow Jones dropped 22.6% within a day. But Paul Tudor Jones, who specialized in short-term speculation, saw the crash coming and covered himself with shorts in time, thereby gaining him a big fortune. The Tudor Futures Fund, led by Paul Tudor Jones, gained a whopping 62% in October 1987 alone. Trader shows Jones in his daily work and also provides insights into his private life. An official, accessible version of the financial documentary is no longer available. However, since the video was initially launched on public television in November 1987, every now and then there is a YouTube version that can be found. By the way, Paul Tudor Jones is one of the richest people in the world with a fortune valued at $4 billion. ​American Psycho, starring Christian Bale does not really have anything to do with stock market trading at first. It is rather a 7 million euro spectacle that shows the abyss of a well-trained and intelligent, Patrick Bateman. 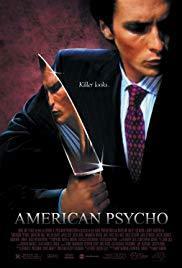 Set in the 1980s, Bateman works at Wall Street during the day and at night he feeds his lust for greed with blood and violence as a serial killer. The movie from 2000 is not for the faint-hearted, but has become a well-received cult classic. ​Patrick Bateman: "There is an idea of a Patrick Bateman; some kind of abstraction. But there is no real me: only an entity, something illusory. And though I can hide my cold gaze, and you can shake my hand and feel flesh gripping yours and maybe you can even sense our lifestyles are probably comparable... I simply am not there." Various theories developed by economist Steven Levitt are the topic of this documentary. ​Surprising answers and conventional-seeming wisdom are found in everyday questions about life. Among other things, the incentive system is being investigated by Rachel Grady and Heidi Ewing. Specifically, it examines the range of school grades achieved by paying students. ​By the way, the documentary is based on the model of American author, Stephen Dubner. All that is gold does not glitter. Even high production budgets and top-class casts do not guarantee great success of a finance movie at the theaters or financial documentaries seen on TV. 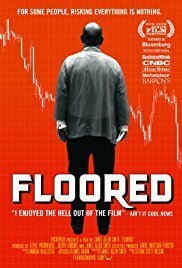 Here are the top 10 worst-rated finance movies and financial stock market documentaries I found (based on IMDB-Ratings). The movie is based on the book of the same title written by Tom Wolfe and was directed by Brian De Palma. 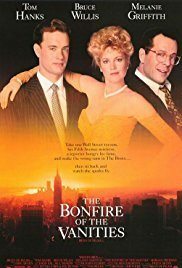 ​Both the film and the book outline the lifestyle of successful New York stockbroker Sherman McCoy, played by Tom Hanks, who is totally detached compared to the "normal" population of the U.S. metropolis. However, in the course of the movie, the financier gets stuck between the judicial system and politicians, who use him as a scapegoat. Inspired by the book, Brian De Palma added a lot of irony and wit and did not shy away from mocking the American social and legal system. Unfortunately, and despite the Hollywood stars, critics and viewers did not find the film entertaining. ​Maria Ruskin: "Oh Christ, Sherman, we're in the middle of a godamn war zone and you're worried about doing the right thing?" 99% of all stock market movies have male lead actors. Equity tries to bring fresh air to the format by utilizing female actors. ​Anna Gunn as Naomi Bishop, Sarah Megan Thomas as Erin Manning and Alysia Reiner as Samantha Ryan round out the cast. However, the film focuses too much on the conflicts between men and women within an investment bank than on the story itself. If you watch the trailer, you will understand what I mean. 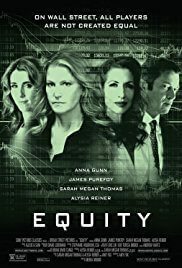 At IMDB.com, Equity is one of the worst-rated Wall Street movies ever. ​For those who are suspicious of the voters, it should be noted that women and men equally voted negatively about this film. After a $100 million loss, caused by one of the leading traders of London-based Whitney Pain investment bank, the bank is in the midst of a crisis. 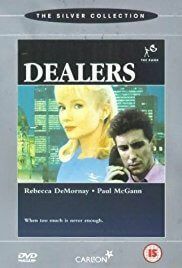 ​A new head trader should fix this problem but instead of in-house trader Daniel Pascoe (Paul McGann), trader Anna Schuman (Rebecca De Mornay) is sent to London from headquarters in the U.S. The business and gender struggle suddenly creates something else. 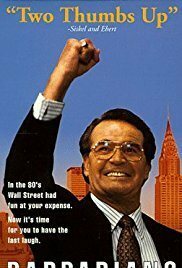 The stock market film from 1990 is not well received by viewers and received a rating of 5.6 on IMDB.com. 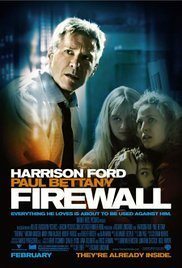 ​Harrison Ford plays the lead role in this 2006 financial thriller. Jack Stanfield (Harrison Ford) has been working for the Landrock Pacific Bank for over 20 years. After a very successful career, the merge between Landrock Pacific Bank with another major bank approaches. Suddenly, trouble arises and Jack's family is threatened. The takeover deal falls apart and a bank robbery is imminent. A cool, popcorn movie-night thriller that is predictable but still comes up with a surprising twist. ​Jack Stanfield: "So that's the plan? You think your techie schoolboy friend can hack into my mainframe?" ​Hostile takeovers are typical business practices in bringing a stock corporation under its control. 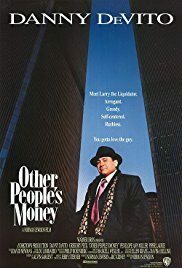 In the movie, Other People's Money, Danny DeVito plays a financial businessman specialized in corporate acquisitions. Director Norman Jewison directs the story about a relationship between DeVito and the daughter of an entrepreneur whose company is the target of his next takeover. ​Lawrence Garfield: "I love money. I love money more than the things it can buy. There's only one thing I love more than money. You know what that is? OTHER PEOPLE'S MONEY." 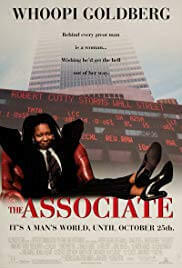 In this stock market comedy, a broker played by Whoopi Goldberg causes a whirlwind on Wall Street with an imaginary business partner. ​Money, power and influence is what counts on Wall Street, love and friendship countless. Economic expert, Laurel Ayres (Whoopi Goldberg) also notices this after she is ignored during a promotion. Having become self-employed, she quickly realizes that women are not welcome in the male-dominated world and invents a partner named Robert S. Cutty. The second part of the film by Oliver Stone, from the year 2010, deals with the life of Gordon Gekko (Michael Douglas) after his release from prison. ​The second part offers very little development. Gekko's daughter, Winnie Gekko (Carey Mulligan), and his son-in-law Jacob Moore (Shia LaBeouf) are not completely convincing in their roles. Only Michael Douglas shines in his role and upgrades the movie. ​The comeback Oliver Stone hoped for didn't happen with this film. Viewers also agree that the ​original is better. Even though you should have watched the sequel at least once. ​Gordon Gekko: "Someone reminded me I once said "Greed is good". Now it seems it's legal. Because everyone is drinking the same Kool-Aid." The risky and unauthorized index and interest rate speculation of derivatives dealer, Nick Leeson led to the bankruptcy of Barings Bank, one of Britain's oldest investment banks. ​Nick Leeson himself wrote the book "Rogue Trader: How I Brought Down Baring's Bank and Shook the Financial World" as a guideline for the movie. 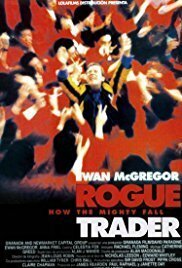 Ewan McGregor plays the lead role in this movie from 1999. The story depicts how greed can lead big companies and their decision-makers to choose wrong decisions. After all, the collapse of the bank was only possible because Nick Leeson, after initial success, was almost inviolable and the internal control systems either failed, or had not even been checked, because of his untouchable status. ​Nick Leeson: "Despite rumours of secret bank accounts and hidden millions, I did not profit personally from my unlawful trading. To be absolutely honest, sometimes I wish I had." 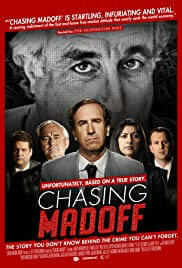 For over 10 years, Harry Markopolos and his team investigated the Madoff scandal and tried to expose the Ponzi scheme. ​Bernie Madoff is a former financial stockbroker who used his reputation to build one of the world’s biggest Ponzi schemes. He disguised his business as a hedge fund. The valuation method affected not only private investors but also large banks and smaller funds. In the midst of the financial crisis of 2007-2008, things could not continue. 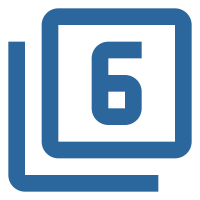 The money was gone and because of the increasing payout requirements of investors, the system blew over. In total, the damage was more than $65 billion. ​Bernard L. Madoff, born in 1938, is facing a total of 150 years in prison. For many investors it was not enough punishment because they will never see their money again. The documentary, based on the book by Harry Markopolos, finds very little support among viewers despite the widespread scandal. Every day, more than a trillion dollars are traded at the New York Board of Trade. ​Johanna Lee's financial documentary takes place directly on the "floor of the New York Board of Trade." Cotton, coffee and orange juice are traded here on a daily basis. Lee accepted a job at the New York Board of Trade in 2005 and was fascinated by the atmosphere, the different characters and the way they interacted, so she decided to make a film about it. 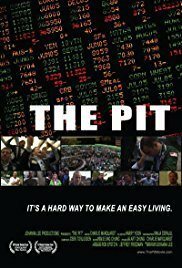 The Pit is told by Lee from the point of view of an insider and shows stock market trading from one side, which was probably fascinating in the past, but it has been replaced by computer-aided trading nowadays. Here are my Top 10 favorite Wall Street, stock market movies and financial documentaries, including my personal rating for each of those. 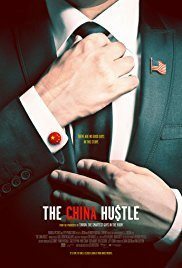 It is not surprising that ​I like movies and documentaries related to short-term trading activities, but at least one movie I have chosen will surprise you.